Perth reveals itself to be the most easy-going and pleasant cities some time after you’ve made it your home, but settling here can be quite unsettling in the beginning. The largest city in Western Australia has the reputation for being the most isolated in the world, so you might feel you’re living in solitary confinement in an enchanting prison, unless you do what Aussies do best—play sports. 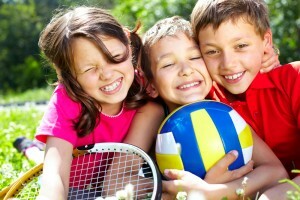 Sporting activities and facilities are available for the whole family all around Perth. Australians are sports mad and love playing and watching all kinds of games—football, rugby, basketball, cricket, athletics, tennis, badminton, cycling, canoeing, diving…you name it. Dozens of contests are held every weekend in the city and suburbs. The spectator crowds are extremely lively and the atmosphere is electrifying. It’s easier to be a part of the sporting ecosystem if you’re a native, because coaching and participation begin right from school. But, you can find clubs for all kinds of sports, from archery to ballooning, and from cycling to water sports. Just look up on Google, and you’ll get more options than you would expect. You can also use the Australian Sports Commission website to find a club in your neighbourhood. Rugby and football are all time favourites. Subiaco Oval is the venue where high-profile AFL matches are played. The two local AFL teams, West Coast Eagles and Fremantle Football Club nicknamed The Dockers also play there. The nib Stadium on Pier Street is the hub of grueling rugby matches amidst roaring crowds. Biking is one of the more popular outdoor activity here. The pleasant weather and flat terrain are cyclist-friendly, but the roads don’t have enough cycling lanes and are full of bad drivers. However, there are several suburban bike trails that remind you of biking in the French countryside. The local favourites include the Kalamunda Mountain Bike trail, the 44km trail winds through Jarrah Forest. Other than that, the Langford Park trail in Peel is the easiest and most family-friendly track. Closer to the main city, Kings Park is excellent for cycling with young children as is the South Perth Foreshore. There are spells of 30-degree days during January and February, and it gets a bit hot for biking or other outdoor sports. . These are the days when everyone gravitates to the beach on weekends. Activities like surfing, diving, yachting, wind-surfing, and fishing are abundantly available here. There are several water-sports clubs for the more serious kind of enthusiasts, but a swim in the ocean and playing on the white sands, followed by food, usually fish’n’chips, or snack maybe an ice cream at a beach-side cafe, is what suffices for most of us. Perth is a serene and calm place, but the tranquility can make you lethargic unless you go out more often and get some oxygen and adrenalin into your body. Perth has a sporting activity for everyone, whatever their age or interest. Do find yourself your favourite outdoor activity if you want to live in Perth and keep your sanity.